Today I had another opportunity to make a gluten-free sourdough starter, as I had forgotten to feed mine for too long (oops). It really isn't hard to make, and offers the opportunity to make so many wonderful recipes. Some of my favorite include sourdough bread (of course), and sourdough pizza crust... yum. The starter gives loft and cohesion to recipes - two things desperately needed in my usual gluten-free vegan baking fare. 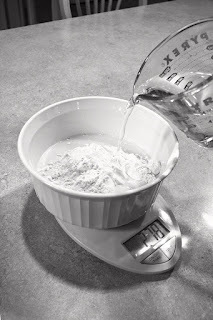 The key to sourdough starter is to add equal amounts of flour and water - by weight. This requires the use of a kitchen scale. The scale need not be expensive, it only needs to be able to measure small amounts, I recommend measuring in grams for the sake of accuracy. 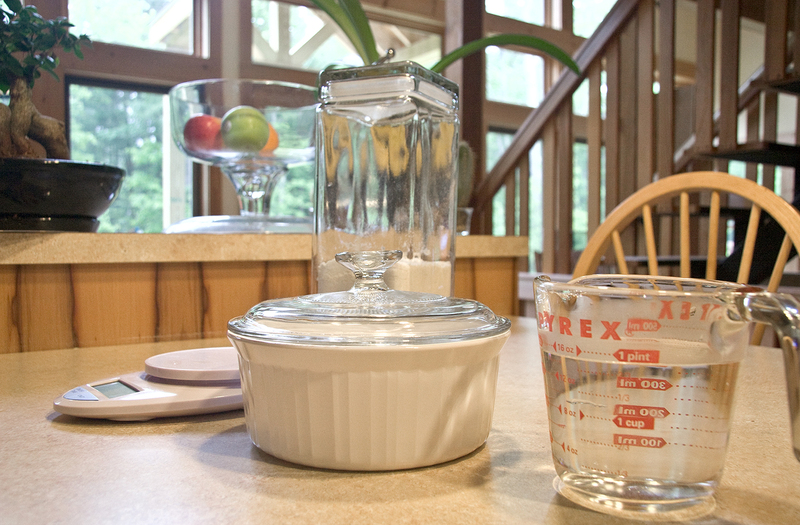 Use a fork or a whisk to mix all ingredients in a crock with a NON airtight cover. Make sure to get plenty of air in the starter as you stir, and put the cover on. 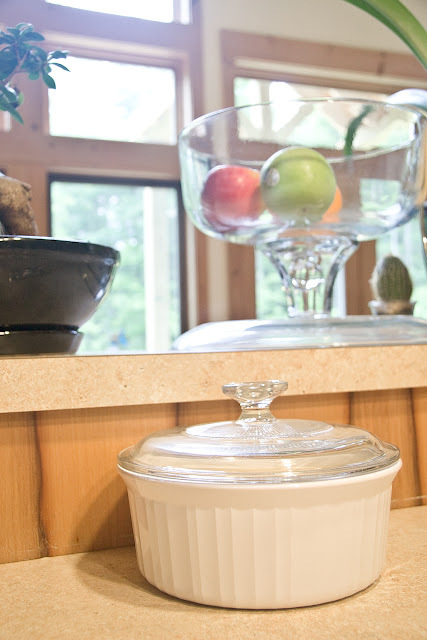 Keep it on the counter in a warm spot for at least 3 days, feeding it (by stirring in an additional 100 grams of bread flour mix and 100 grams of warm water) 2-3 times a day. After 3 days it may be kept on the counter or in the refrigerator depending on how often you are making bread. If you keep it on the counter, feed it at least twice a day. If it is kept in the fridge, feed it every 2-3 days. Stir before using it, and use before feeding it. 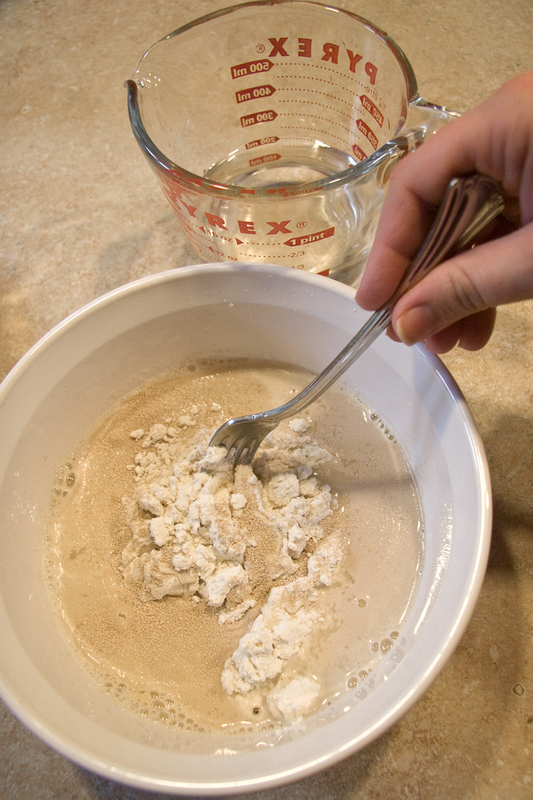 Remember, sourdough starter is a living thing, it is a colony of actively feeding yeast, and all of their byproducts. You must feed it and keep it above freezing for it to survive. Gluten-free starter will naturally separate, but if you are not feeding it often enough it will form a dark liquid on the top called hooch - which is exactly what it is. The byproduct of starving yeast is alcohol, and it will smell like it. Now there is nothing wrong with a little hooch, you can stir it right in if you discover it. that said, enough alcohol is toxic to your little yeast colony, and can cause it to struggle or even die. The other thing to watch for is mold. If the starter is healthy, you shouldn't have any problem with mold - the yeast will crowd it out. That said, if your starter starts turning colors and getting fuzzy there is no hope for it - you must throw it out and sterilize the container with boiling water before starting over. You made this all seem super easy! I'm going to try it next week. Once you've started it and you're ready to make the bread, what steps do you need to take to actually make the brad? And if you're keeping it in the fridge do you have to let it get to room temp before using it?